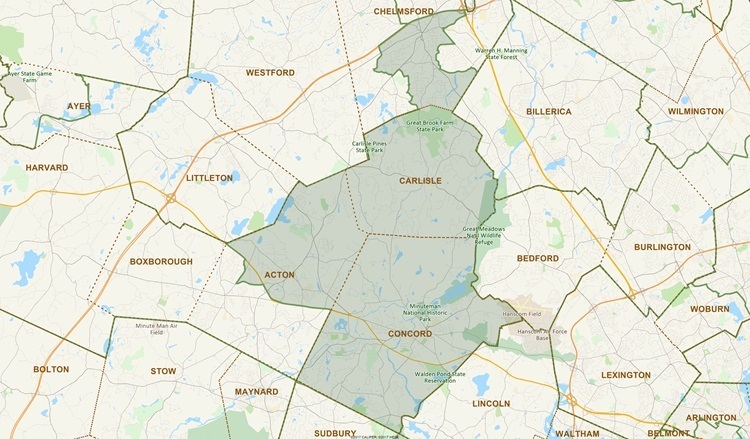 The 14th Middlesex District is comprised of the towns of Concord, Carlisle, Acton Precincts 1, 2 and 6, and Chelmsford Precincts 1 and 9. With over 40,000 residents, our District is home to an array of historic sites, scenic trails, thriving local businesses, artists and entrepreneurs, and families of all ages. Representative Gouveia’s goal is to connect with and represent each of our four towns equitably. The Representative looks forward to attending local events and celebrations. To invite her to an event in your town use this form. Not sure if you live in the 14th Middlesex District? You can check here.